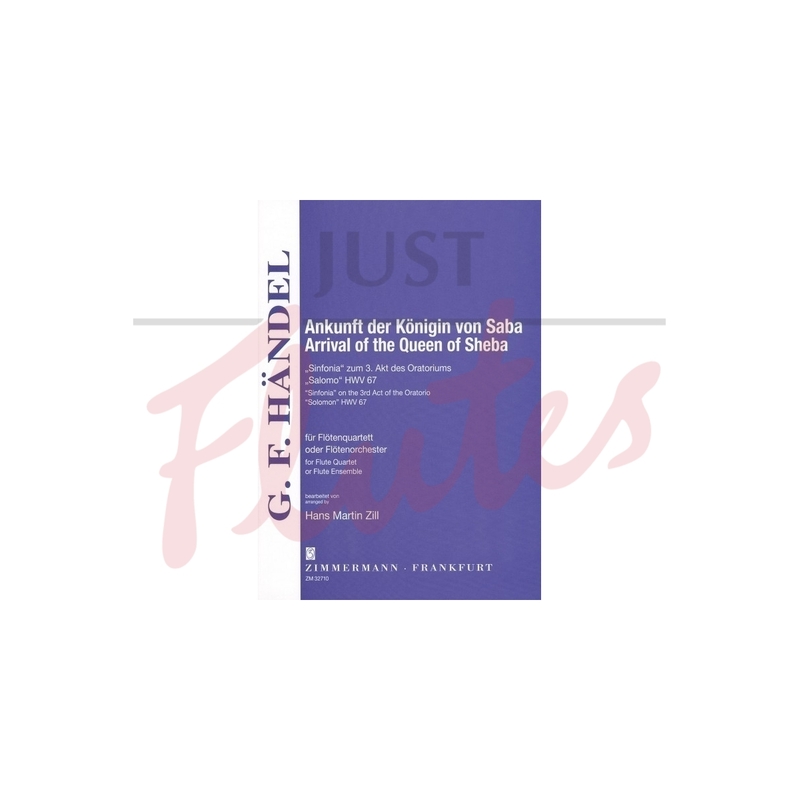 The 'Arrival of the Queen of Sheba' is a piece from Georg Friedrich Handel's oratorio "Solomon", written in 1748 and performed for the first time on March 17, 1749. 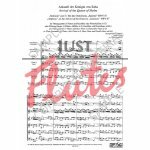 The arrangements presented here can be performed both by a flute orchestra and a quartet including solo instruments. 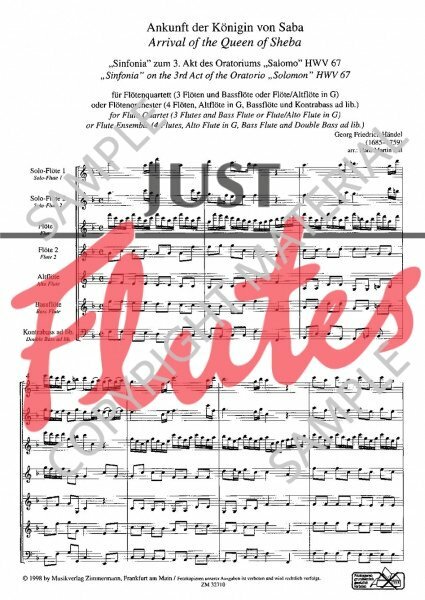 When using the quartet version, the orchestration "3 flutes and bass flute" should be given preference over the other instrumentations ("3 flutes and alto flute" or "4 flutes"), because it sounds better and does not interfere with Handel's conduct of voices.